Ooooooh! It's that time of year again, when goulies and ghosties and long-leggity beasties roam broad...and Things Go Bump in the Night! The days have grown shorter by the minute, and this week we were graced by a huge, full Harvest Moon just as we closed shop and went home for supper. The air has been crisp and clear -- with no snow! -- and the kiddies are getting antsy to go 'Trick-or-Treating' come All Hallows' Eve -- aka Hallowe'en, which this year falls on Wednesday. Yes -- it will be dark! And clouds may cover that moon! Wondering how to keep kiddies safer on the streets as they go house to house in search of goodies? Want to make them more visible? 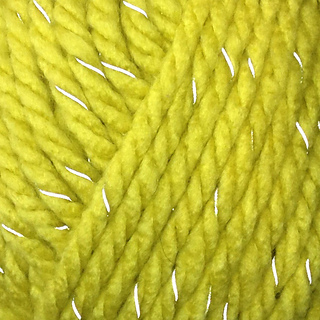 A reflective yarn in a wild, spooky neon yellow-green. 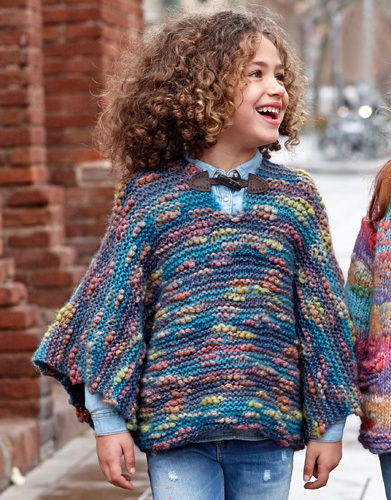 It comes in two weights -- Chunky and Really Chunky -- so that crafters' fast fingers can double or triple it for an arm-knit cowl or scarf, finger-braid it for a fast pair of 'round-the-wrist or 'round-the-ankle accents, or crochet it up into a quick toque -- maybe even a glowing hood! 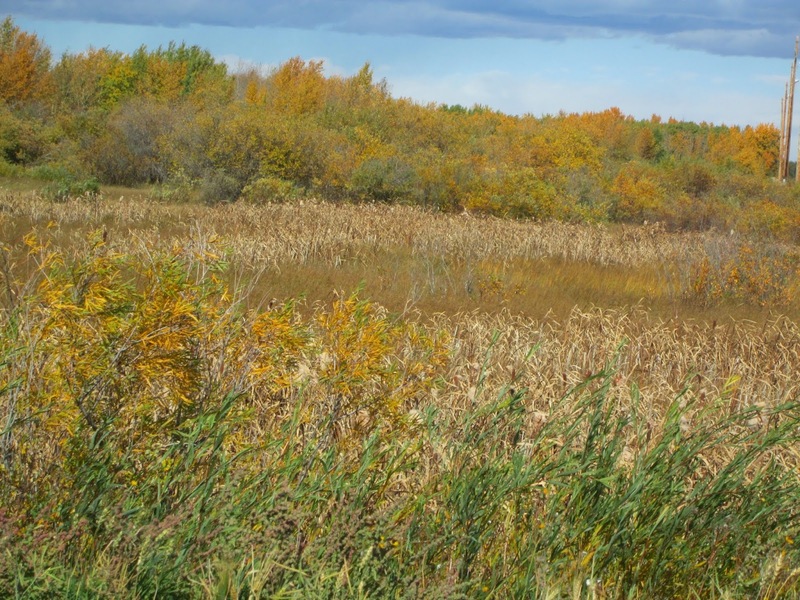 A Spooktacular Green for Hallowe'en! Limited supply! All sales final -- and when it's gone, it's gone! This year we offer a Spooktacular Hallowe'en Bonus! you'll get 10% off anything you purchase! Have a safe and Happy Hallowe'en, everyone! *Written by Margaret, happy TCL employee who prefers to hide from the ghosts, goblins and ghouls that roam on All Hallows' Eve! From winter to fall? Did we miss a couple of seasons? Did last week feel like the first days of fall for you? I know several people who have actually stopped complaining about the "cold and snow" and enjoyed the warm sun! This is a really poor photo of the Trumpeter Swans heading our to feed last Thursday from Gull Lake.I do apologize for the quality, but it is hard to drop your knitting in the sand, grab your phone and take a photo of moving objects - that results in a photo with quality. The reprieve in temperatures allowed my husband to complete some of the outside chores (read: putting away the lawn furniture) which he insisted upon starting when it was snowing! Do I dare suggest he put up the Christmas decorations now rather than in -30 temperatures? Interesting concept - putting away lawn furniture before the snow falls - is akin to doing a gauge swatch when starting a new project, especially if it is a fitted project i.e. sweater, hat, mittens or socks. Measure the person who will be wearing the item to confirm you are going to get something you will be proud to wear or give away. I was reading an old knitting magazine and learned it is also a good idea to do a test swatch for every stitch pattern - as this may also change your gauge and the resulting size. I have been knitting for years and understand much of the terminology. Now working at The Crafty Lady, I am learning how much I did not know! I am surprising myself how much better my projects are turning out. I am also getting more finished - and learning to crochet. 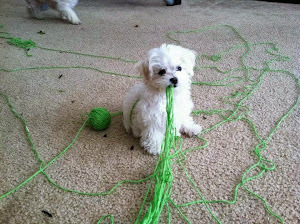 Learning to crochet has been on my bucket list for so long. Crafters, like migrating birds, need to "feed" before "heading south". We need to plan and replenish our stash. 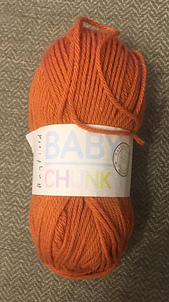 To help with budget concerns for your flight before Christmas or heading south - this week's 75% Off yarn is a chunky. We have several bright colours, washable, easy to work with and ideal for the young at heart. Posted by Anne, happy crafter who loves to keep learning and creating! Are you a moon watcher? Do you pay attention to the phases of the moon or carry some suspicion about what happens when the moon is full? Do you do your best to go out to see 'special' sightings of the moon -- like a 'blue moon' or a 'blood moon'? Or are you more romantic about this subject, enjoying walks under the moon, or songs about '[spooning] by the light of the silvery moon'? 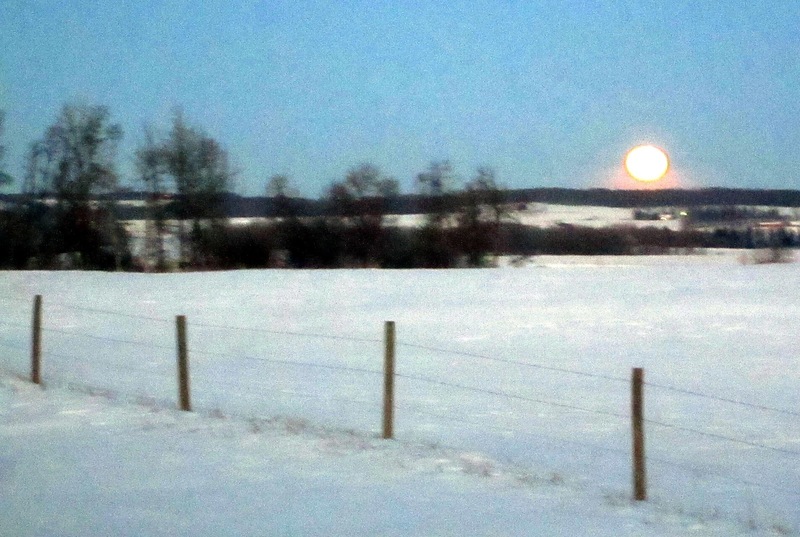 Do you love the sight of a rising or setting moon or the glow of a bright moon on the snow on a crisp winter's night? And...did you know there's a gemstone named after the moon -- so named by the Romans because of a belief that it was composed of rays of moonlight that had been solidified on the earth? Both they and the Greeks associated this stone with their various lunar deities, and named it (rather obviously) "moonstone". But as a polished gemstone, it has a glow to it that's simply beautiful. Cut and polished into a cabochon, it rather resembles the moon. It's this wee bit of a glow, this shine and glimmer, that was inserted into the yarn we're offering this week as our Super Special Sale -- just in time for you to knit up something for the Holiday season that includes -- as mentioned in an earlier post -- a bit of the 'bling' so fashionable this season! And the projects? Everything from pretty hats to wraps, shawls, shrugs and full sweaters! Just think! The New Moon is just peeking out this week. 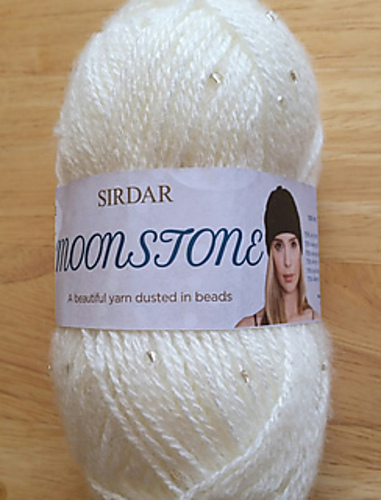 If you cast on by Tuesday, you could have several hats completed or a good leg up on a shawl by the time the Full Moon rolls in on October 24! 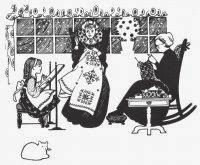 *Written by Margaret, happy TCL employee who'll knit during any phase of the moon! What do we have to be thankful for? After the serious snowfall last week, the car accidents, the amount of work needed to clean it up? The devastation to the crops, all the profits left standing in the fields? September was the coldest and wettest in 60 years. My brother was kind enough to ask me if I remembered the 1958 September? I was 7! Really, I am going to remember walking one block to school (Grade 2) from 60 years ago? Not likely. 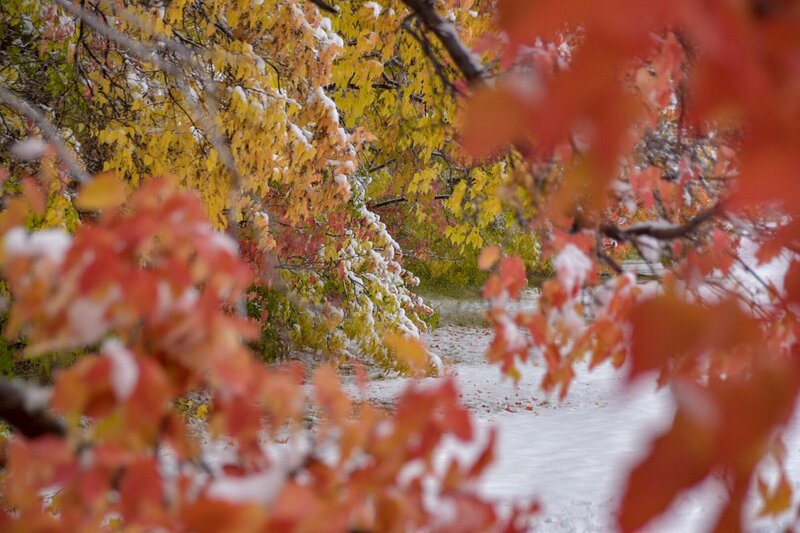 Last Tuesday was the snowiest October day in 104 years!! Something to be thankful for? 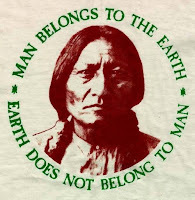 For thousands of years, man has tried to control our environment - we can not. Let's hope mankind is starting to learn this lesson as we deal with the major climate changes we are experiencing - and were brought home with over a foot of snow in Calgary last week. This area was snowy, wet and cold, but we did not get 12 inches of the white stuff. No matter which side of the political spectrum, the new NAFTA agreement or US Mexico Canada (USMCA) deal is not a great deal for many. But could anyone have negotiated a better deal? It is much better than was originally demanded by the US. We were able to keep the arbitration clause! Canadians do not have to buy US milk products. Canadian milk producers do NOT use hormones and/or antibiotics as do the US producers. We can support our dairy farmers by simply reading the labels and purchasing Canadian! Being a citizen of Canada, for me is a major thing to be thankful for! 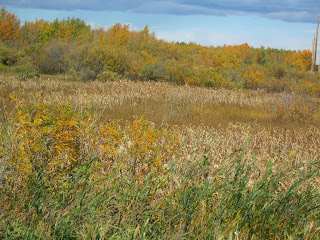 Last week Margaret focused on fall - we had our one week of fall? If so, let's be thankful we got that much. As the snow melted, the leaves on the trees glistened, against the blue sky and the world looked fresh and almost like spring. Please be thankful - we can get out, we can appreciate so many of natures wonders and gifts. Speaking of "getting out", we are wondering how far you have traveled with your Crafty Lady bag? Recently a customer asked this question after returning from a trip to the edge of the Arctic Ocean. This person's goal was to put her toes into all three of the oceans on our coasts. She forgot to take a picture, but asked the question anyway. Where have you taken your knitting to? Please, come in and tell us, e-mail or share your photo with us on our Facebook page letting us know. One of my favourite places to knit is when I am out walking my dog on the beach at Gull Lake. Yes, you can knit and walk. My granddaughter loves to brag she has the only grandmother who can walk, talk and knit. We all multi-task. I just have the privilege of walking in nature, with my knitting, reducing my stress, and being very thankful. Crafters celebrate colour, crafting with colour, texture and fibre. The ranges of colour and texture are currently amazing compared to the fibres we knew when I was growing up. I remember working with Phentex, which was like cast iron polyester, (hard to work with, itchy and rough). Many of the yarns were either 100% wool OR 100% synthetic. Today's yarns are often a blend. This week's special 75% off sale features both colour and texture and are a blend of wool and synthetic! What a gift, something else to be thankful for! 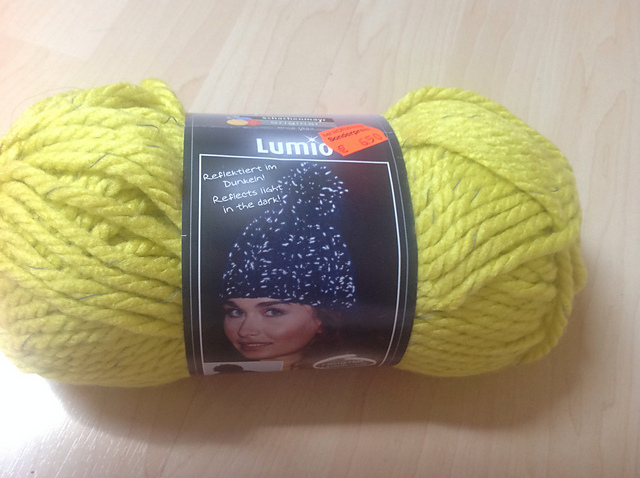 Posted by Anne, happy TCL employee who can think of so many wonderful things to make with this beautiful yarn. Yes, I am aware beauty is in the hands of the crafter. This yarn is a great starting point. Around these parts this year, one might even say, "my favourite day of the year" -- it's been that cold and snowy! And now we're on the edge of October -- thirty-one days of guessing what the weather will be like, trying to get those last-minute preparations for winter finished (I'm calling my car dealership for a put-on-the-snow-tires appointment), and at the same time, in the throes of planning Thanksgiving, all the while being reminded that "the Holiday Season" (the triple play of Christmas, Hannukah and Kwanza) will be upon us before we know it. Take a minute to pause, breathe, look out the window or -- better yet -- take a walk in the beauty around us, to really see and appreciate the colours of the changing seasons (assuming, of course, Gentle Readers, that you live in a place where seasons really do change...with apologies to those of you who don't live in such places). Now I ask you, where can you find such colours year 'round? It so happens that when yarn is created -- particularly when it contains some natural fibres such as wool or alpaca or cotton -- it can be dyed to recreate the amazing colours and textures of a particular season of the year. Not only is this the time of year when a knitter or crocheter's mind turns to thoughts of winter nesting and the creation of gifts for the up-coming season, but it's also the time of year that many seek to work in colours evoking the golds, reds, browns and blues of autumn. These shades and tints are a bit dustier, deeper, more muted that those found in the fresh colours of the new growth of spring; the rich, deep colours of summer; or the crisp clear neutrals and blues of winter. 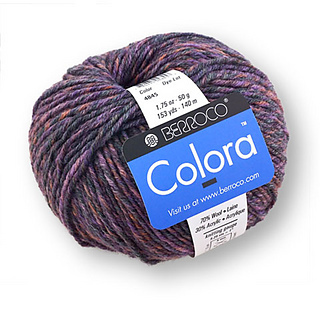 So...make this fall 'colour-fall' and drop by The Shop for some Colora this week because...when it's gone, it's gone! *Written by Margaret, who is thankful she lives in a land of autumn colours...sometimes reflected in her knitting!